The Carter Center will observe the Oct. 23 vote in Tunisia - the first Arab Spring country to hold elections - for a constituent assembly to draft a new constitution. 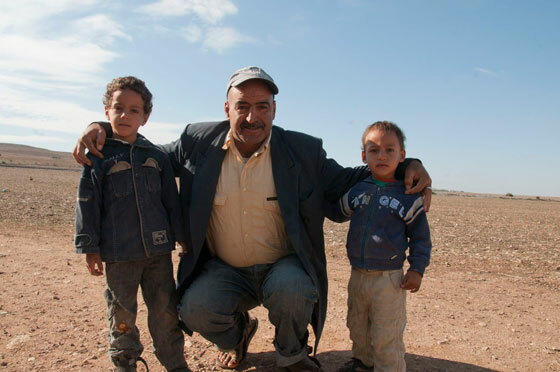 A selection of questions submitted online are answered below by Carter Center observers on the ground in Tunisia. Background: In December 2010, street vendor Mohamed Bouazizi committed suicide in protest of harassment by a municipal officer in the Tunisian town of Sidi Bouzid. His actions sparked a revolution toppling President Zine El Abedine Ben Ali and leading to pro-democracy protests across the Middle East region. The Carter Center's election observation team has been on the ground for months reporting on the pre-election environment, and now we are gearing up to witness voting Oct. 23. What is the National Constituent Assembly? What is its mandate? Tunisians will vote on Sunday to choose 217 members of a National Constituent Assembly to draft the country's new constitution. The election will be conducted using a closed list proportional representation system, which means that voters will cast a ballot for one list for either a political party or independent candidates, rather than voting for individual candidates. This is the first open and competitive election in recent Tunisian history and will be the first time for many Tunisian citizens to vote. There are more than 100 political parties and numerous independent candidates, running for a seat in the assembly. In fact, there are more than 1,500 lists registered with the election commission. The National Constituent Assembly will have one year to draft a new constitution. According to Presidential Decree No. 1086 (Aug. 3, 2011), the assembly will convene after the national election authority, Instance Supérieure Indépendante pour les Élections (ISIE), announces the final election results. A man looks at posters for political parties posted in Gafsa, Tunisia, which is in the country's central region. 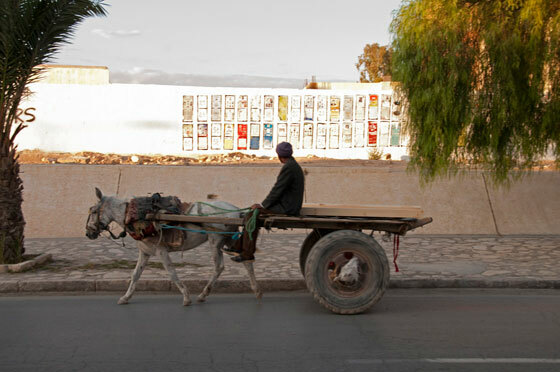 How will Tunisia accommodate voters with physical or mental disability, or illiterate voters? Each political party and independent list is represented by a symbol or logo on the ballot paper in an effort to assist illiterate voters. For example, one party, Ettakatol, will have a fish to represent it, while the Progressive Democratic Party is represented by an olive tree. Physically and mentally disabled voters will be allowed to bring someone to assist them when they vote, or they may be assisted by the polling staff. How does the Carter center truly know that the Tunisian elections will be free and truly representative of the Tunisian people? While The Carter Center will deploy more than 60 international observers, we will not be alone on election day. The European Union, International Republican Institute, National Democratic Institute, and OSCE Parliamentary Assembly along with other groups will all deploy international observers. 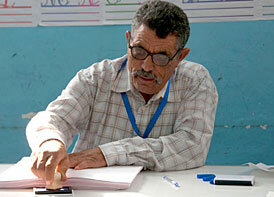 There are also networks of impartial domestic observers across Tunisia who will report on the conduct of the elections. The Carter Center coordinates efforts with these other groups to ensure the broadest possible coverage of the elections. The Center works to assess an election by discerning trends from visiting a representative sample of polling stations that, although not comprehensive, will give an accurate and statistically based picture of what occurred throughout Tunisia. Carter Center observers talk with residents in Gafsa, Tunis, the week before the country's Constituent Assembly election. The Center's long-term observers have been deployed since September to monitor campaigning and voter education activities. 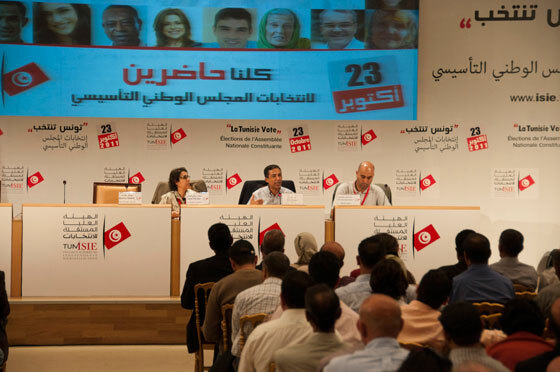 At the election commission's media center in Tunis, authorities briefed political party representatives on how to observe at polling stations – what to look for, what they can and can't do, and so on. Do you have members in the central buildings where the votes will be counted? Who is watching the boxes from the time they are sealed to the time they are counted? Our teams of observers will each observe the polling process in its entirety, starting with the opening of polling stations at 7 a.m., which includes the display and sealing of empty ballot boxes. Observers continue to observe at polling stations all day across their assigned region. When polls close at 7 p.m., they will also observe the counting process, the tabulation of results and posting of preliminary results. While we can't be at every polling station - as mentioned above - we are in regular communication with other observer groups to learn what they are seeing. In addition, political parties are allowed and encouraged to observe at each polling station. There will be many eyes on the ballot boxes. Can the people see what the votes are - how many votes were for each person? When Tunisian citizens cast their ballot, it will be in secrecy behind a voting booth. Using the list proportional representation system, each voter will vote for one list. One of the exciting things about Tunisia's election is that accredited observers - including representatives of political parties and independent lists, national Tunisian observers, and international observers – can be present to watch the counting process. Once ballots are counted at individual polling stations, the results will be posted outside for the general public to see. The ballots are then transported securely to a tabulation center. 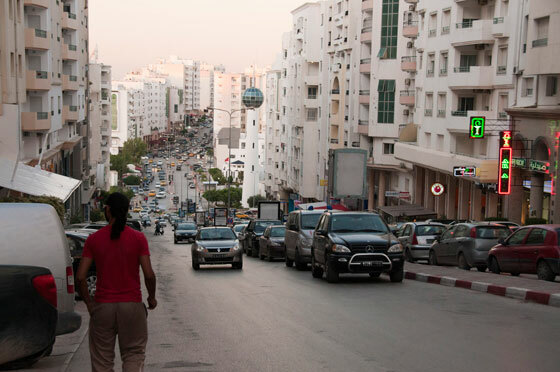 What are Tunisian neighborhoods like? 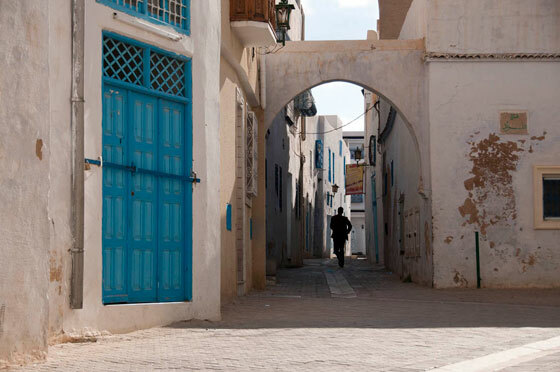 The northernmost country in Africa, Tunisia has a diverse landscape, history, and people. Its culture is shaped by thousands of years of past residents – Phoenicians, Roman, Turks, Berbers, French, and Arabs. Tunisia ranges from mountains and farms in parts of the north to the Sahara Desert in the south. There are many historical remains dotted throughout the country and in neighborhoods themselves. Other parts of Tunisia, including the capital Tunis, have very modern buildings. Here are some photos from neighborhoods around the country. A modern thoroughfare in Tunis. An old medina alleyway in Kairouan. 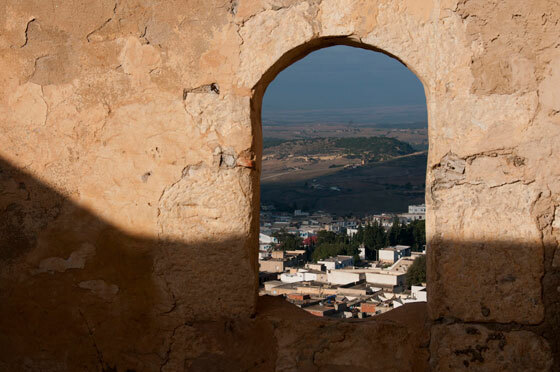 Looking through a centuries-old Kasbah window to the city of Le Kef. A rural family in Loreubs. A busy marketplace in Seres. What is the role of bloggers in Tunisia? 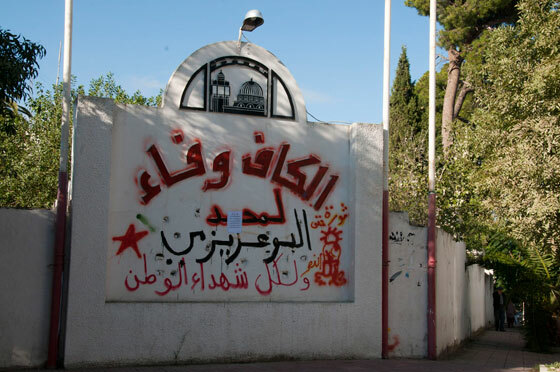 Tunisia has an active network of young, political bloggers. 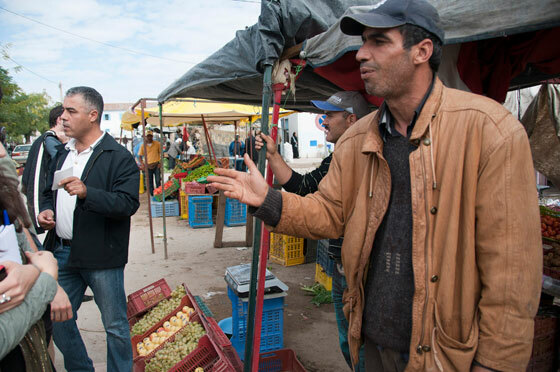 After the events in Sidi Bouzid in December 2010, when vegetable seller Mohammed Bouizzi set fire to himself in protest, these young activists took to their blogs, to Facebook, and to Twitter to send videos and updates of what was happening across the country as protests continued to grow. Soon, this core group reached a broad network of Tunisians and eventually the international community took notice. News outlets started confirming events with the bloggers, since many didn't have correspondents in Tunisia. Months later, many of these bloggers are now journalists, well-known bloggers, or even candidates running for political office. Revolution bloggers Zied Mhirsi and Youssef Gaigi co-founded Tunisia Live, a news organization based in Tunis that trains journalists and is often quoted as a source of news by international news outlets. In Le Kef, a sign that was engraved to say "Le Kef is faithful to Ben Ali" now says "Le Kef is loyal to Mohamed Bouizzi" (the vegetable seller who set himself on fire in protest in December 2010).